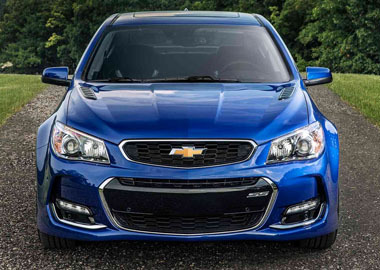 The 2017 Chevrolet SS combines sports car performance with the sophistication of a luxury sedan. Its 6.2L V8 delivers 415 horsepower and 415 lb.-ft. of torque, taking you from 0 to 60 in just 4.7 seconds. A refined, elegant interior will keep you comfortable while you get there. This Corvette-inspired small block V8 engine delivers 415 horsepower and 415 lb.-ft. of torque. Its displacement is 6.2 liters. SS takes to the road with a sport suspension featuring Gen 3 Magnetic Selective Ride Control™ for amazing ride and response. 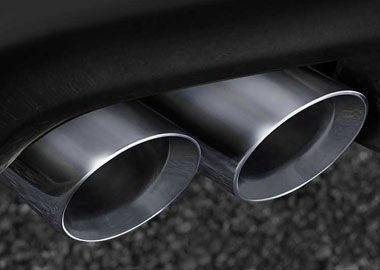 The quad-tipped dual-mode exhaust adds a note of distinction. This advanced technology provides hands-free parking by detecting suitable-sized spaces and taking over the steering to neatly maneuver your SS into an available space. The quad-tipped dual-mode exhaust adds a note of distinction. Ultra Bright machinedface 19-inch aluminum wheels1 with massive Brembo® brake calipers in red catch the eye. 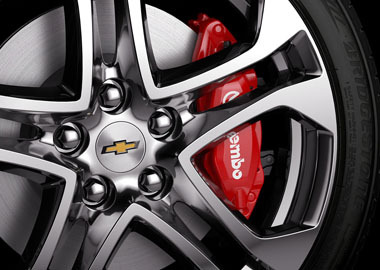 SS offers Brembo® 4-piston disc brakes with 2-piece aluminum calipers and 14-inch rotors on all four wheels. Electronic Brake Assist senses how hard and fast you hit the brake pedal and provides assistance if necessary. Enjoy hands-free interaction with Bluetooth® wireless technology while using a number of on-screen features including SiriusXM® Satellite Radio and Pandora® Internet Radio. The SS is as smart as it is fun to drive. After initial setup, whenever your SS is on, the available OnStar Wi-Fi® hotspot is automatically on too. It includes a data trial for three months or 3 GB (whichever comes first). It offers great signal quality and bandwidth for up to seven devices. Additionally, the OnStar Guidance Plan is standard for three months (trial excludes Hands-Free Calling minutes). Turn your compatible mobile device into a command center for your vehicle. Start/stop your engine and lock/unlock your doors with the tap of a finger. You can even send destinations to your navigation system, view diagnostic information and set parking reminders from virtually anywhere. It’s a simpler and smarter way to stay connected to your compatible vehicle.